Shilajit is a pale-brown to black material consisting of decomposed plant and animal material that has been compressed between layers of rock. It can be found in the Himalayan mountains and has been used in traditional medicine for centuries, according to Robert Talbert of the California College of Ayurveda. During the summer months, shilajit leaks out from between rocks as temperatures rise. Today extracts of shilajit are used exclusively in Ayurvedic medicine to treat a large number of disorders, including: cardiovascular, immunological, neurological, endocrinological and gastrointestinal diseases. While generally considered safe to use, shilajit extract may interfere with certain processes and medications and as such has several contraindications. Consult your doctor before taking shilajit. Shilajit is often used in the treatment of diabetes. According to Dr. Michael Hartman, shilajit has been shown to lower blood sugar levels substantially. 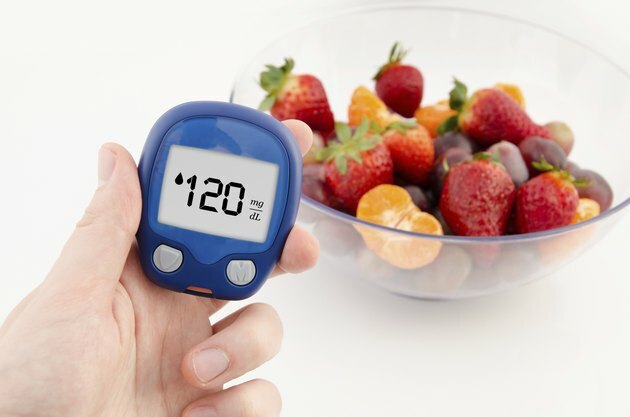 Diabetic patients need to be aware of this as they may to compensate for this action by lowering their dosages of insulin in order to avoid hypoglycemia. If you have diabetes, consult your health care professional before taking shilajit and/or altering medications. Phenylketonuria, or PKU, is a rare inherited disorder in which the body is unable to metabolize the amino acid phenylalanine. Left untreated, phenylalanine will build up in the PKU patient’s body and cause a variety of neurological symptoms, including mental retardation. According to Medline Plus, the treatment for PKU is a very strict diet that is very low in phenylalanine. As shilajit has been found to contain small amounts of phenylalanine, it is contraindicated for patients with PKU. Uric acid is a by-product of digestion. During normal functioning, uric acid dissolves in blood and passes through the kidneys where it is eventually eliminated in urine. If too little uric acid is eliminated it can build up in the body causing illness, such as kidney stones and gouty arthritis. According to Robert Talvert, shilajit extract has been shown to increase uric acid production, and as such should not be taken by individuals with high uric acid retention. While shilajit has been used for many years in traditional medicine, few modern research studies of its effects on the body exist. To date there are no safety studies involving shilajit use in pregnant and/or lactating women. As such, shilajit not indicated for use by pregnant or lactating women.